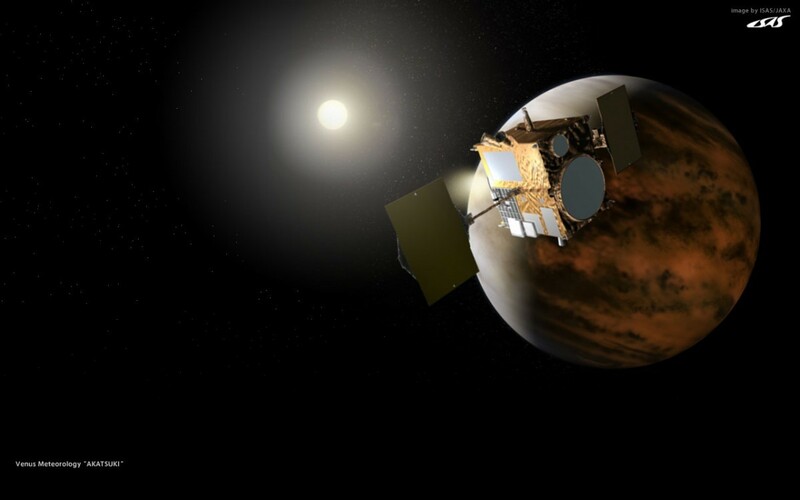 The Japanese spacecraft Akatsuki has made thrust corrections necessary to put itself in orbit around Venus. It was launched in 2010, and was scheduled to enter Venus orbit that year, however it’s main thruster failed. Instead it made a flyby of the planet, and orbited the Sun for the next five years. With adjustments to its course Akatsuki once again had a chance to reach orbit, this time using a long burn of its attitude control thrusters. Placing a spacecraft in orbit around Venus is a challenge because of the large amount of thrust necessary (known as delta-v), and reaching Venus and Mercury can be difficult because they are closer to the Sun than Earth. Akatsuki is only the 8th spacecraft to orbit Venus. The goal of Akatsuki is to study the atmosphere of Venus, as well as look for evidence of volcanic activity on the surface. Reaching a successful orbit after a second try is an excellent demonstration of how we can recover from failures. Space exploration is difficult, but with a bit of ingenuity we can still move forward to find a new dawn of scientific understanding. How Special is the Solar System? I wonder how much attitude control juice it has left.